Today’s Green Antilles interview is with Dr. Sonia Peter of Barbados. Dr. Peter is a natural products chemist with an interest in ethnobotany and plant conservation. She studies the fascinating library of natural agents produced by plants, the tradition of our use of plants for medicine and the potential for finding new drugs. 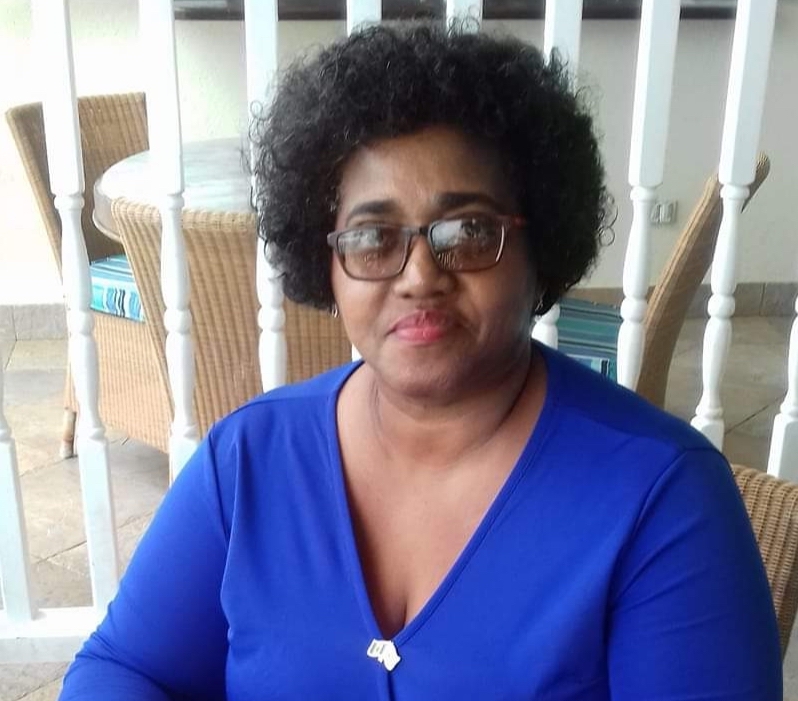 She was instrument to establishment of the Caribbean chapter of the Society for Economic Botany, and is the founder of the Biocultural Education and Research Programme, an NGO working at the nexus of Caribbean heritage and plant biodiversity. Please tell Green Antilles readers about yourself, and about your work with Caribbean plants and plant traditions and heritage. This journey began when I returned to studying after seeing my four children to an age where I thought I could put some time into exploring my interest in research. I knew I had to be very focused because I needed to get back to my family, my son was four, so I immersed myself in the research of natural products biosynthesized by plants. Though my interest was in the natural agents plants use to defend and protect themselves I found myself also drawn to the rich tradition shared by global peoples in the innovative use of these fascinating gems of nature for health care. This interest was enhanced as I began to look at the history of plant usage in the Caribbean and became crystallized as the unique story of Barbadian plant usage emerged for me. I found it both sad and inspiring to read of the plants that were used in Barbados by the enslaved Africans in the 17thand 18thcentury to heal wounds, soothe digestive ailments, clear infections and to just maintain some semblance of health in the harsh living environment. In that period some common plants depended on included aloes, seaside sage, castor oil shrub and milk weed. Milk weed, a member of the Euphorbiaceae plant family. Commonly used by enslaved Africans for wound healing during the period of slavery in Barbados. More illuminating was my then discovery of how that rich tradition was passed on orally into the 21stcentury with aloes being one plant identified by all Barbadians as useful for myriad ailments. This remarkable knowledge transfer binds us through time and history but the value and importance of this is often missed in this modern era. 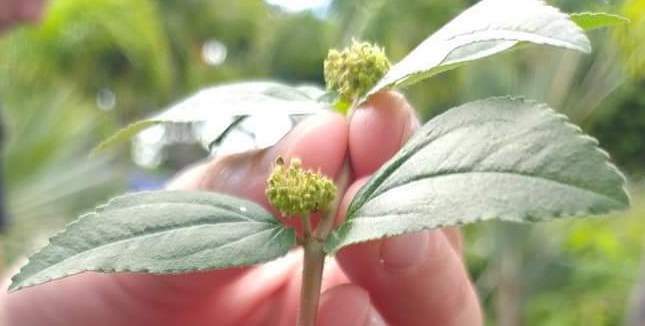 I am, however, heartened by those in our population who have retained a connection with the heritage in their families and respectfully talk of the grandmother or grandfather who would go into the field and select plants for their colds, flu, fever or pain. Beautiful stories of castor oil leaves being used to band the forehead for headache or a tea made from cerasee bush for the flu speak to us if we are willing to listen. These stories tell us about our resilience and ingenuity but also point us to the potential for the development of drugs from our natural resource. However, this potential is being compromised due to diminished interest in our traditional healing plants. You are a chemist by training. Coming from that background, how did your interest in ethnobotany and other plant-related research arise? The interest in research has always been there. I remember being asked as an undergraduate at the University of the West Indies (UWI) Cave Hill Campus what I wanted to achieve on completing my Bachelor’s degree and my youthful naïve response was to find a cure for cancer. That was a sincere response and is still my quest, but I say naïve in the context of the challenges posed to Caribbean scientists for such an achievement. Moreso Caribbean women in science often struggle to be seen as valuable team members and this can be limiting. I am however thankful for the network that I have been able to establish and for being recognized as of value in scientific research in the area of natural products. My interest in the area of ethnobotany was sharpened as I made connection with the US based Society for Economic Botany and got the opportunity to serve on their board of management. This eminent group of ethnobotanists brought further illumination of the value of plants to human civilization and inspired with their passion for studying the interrelationships within best scientific practices. I was also supported in the establishment of the Society for Economic Botany Caribbean Chapter and am proud of our contribution including the publication of an annual newsletter. You recently started an NGO, the Biocultural Education and Research Programme. Tell us about the Programme, and about its mission of promoting conservation through education and research. What are some of the projects that BERP has been working on? This has been a signature achievement for me and it is my hope to further embrace the tradition of plant usage and to share with the youthful cohort for continuity. We hope to ignite and renew interest in our plants and generate that desire to conserve and look further through research. We have a number of projects planned which are being funded by the Global Environmental Facility Small Grants Programme, implemented by the UNDP. Community and school outreach protocols are being developed, a book is being illustrated in the unique expression of artist Llanor Alleyne, we will be exploring plants within the contexts of examining food security and drug discovery, and there is an ongoing internship opportunity on bioengineering for climate change. Right now we are in the throes of organizing our first Symposium and Botanical Exhibition on Plants and Planting for the Future. This will be our headline event for 2019 and will span the dates of April 10 to 13. Local, regional and international scientists will share their work under the themes of Food Security, Climate Change and Health. 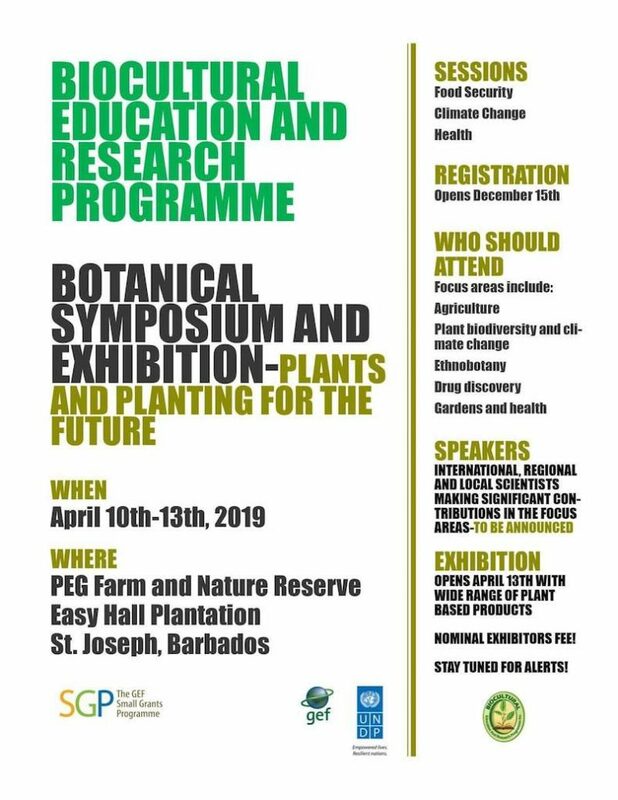 All of our invited speakers are notable but to mention a few, I am happy to share that we will have Dr Laura Nkrumah from St Augustine Campus, UWI, who has done expansive research on importance of breadfruit in the Caribbean, Dr Diane Ignacio, also from St.Augustine Campus, UWI, who will share research on the activity of a Caribbean plant on prostate cancer and Dr Cassandra Quave of Emory University, Georgia, USA who will share her cutting edge research on antibiotic agents from plants. I should add that it continues to be inspiring to be working as a member of that anticancer project on prostate cancer. You’ve also developed a line of Caribbean teas. Please tell us about your products and the inspiration behind them. This started as part of my effort at familiarizing our community with Caribbean herbal teas throughtea workshops. It then came to my realization that the teas captured our heritage and would be an important product to offer local consumers and visitors to the island. 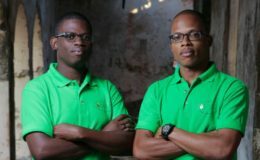 The company Heritage Teas Barbados was formed and the teas launched in 2018. 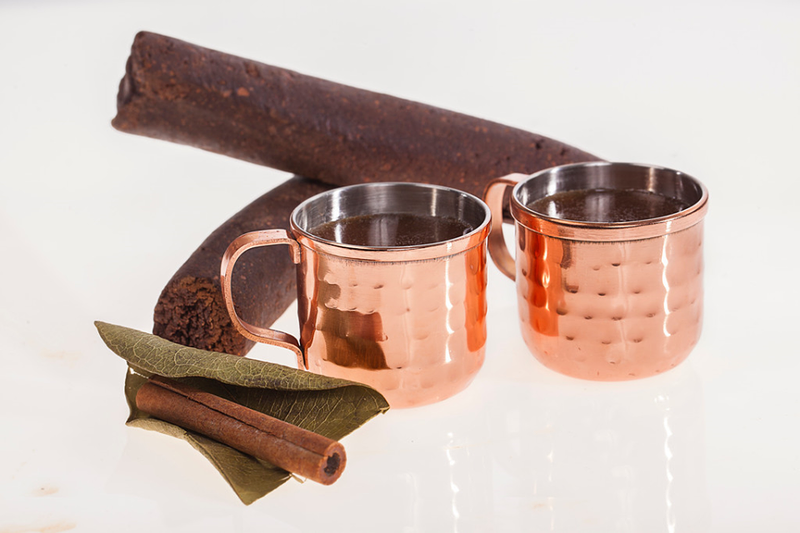 Our products cover a range of seven herbal teas and three cocoas. Our slogans are ‘Sipping on tradition’ and ‘Tea is more than a beverage, it’s a lifestyle’ which capture the essence of the value of tea drinking to our society. We use innovation in our blends and names, with one of our best sellers being Rosé ginger, a fruity blend of sorrel and ginger which is antioxidant rich. Another favourite is Bay café, an aromatic blend of bayleaf, soursop and coffee which is rich in flavonoids with the added health benefits due to the soursop. We are especially thrilled to bring our blend Proppa cocoa to the public which is our formulation of ‘Cocoa tea’, a common tradition across the Caribbean. For me it always evokes the folklore around the refrain of the song‘Da cocoa tea is a poison to me……every time I drink it I don’t know where I be’. I want to reassure, however, that our tea does not carry those ill effects! We may have had cups of that aromatic brew prepared by a grandmother, as I did, with the flavour enhanced by the cocoa lipids and added bayleaf. This has been captured in our cocoa product. We have worked diligently to maintain standards of quality and consistent flavour profile and will be testing our product at the World Tea Expo in Las Vegas this year. What message would you like to leave with Green Antilles readers about why Caribbean plant biodiversity and our ethnobotanical traditions are important? What can we, as individuals, do to help preserve these aspects of our natural heritage? The Caribbean is known to be a hotspot of plant biodiversity with a high degree of endemicity. This means that our plants offer unique opportunities for solutions to food security, discovery of new healing agents and a myriad of other applications including alternatives to plastics. The traditional knowledge embedded in our heritage of usage must also be considered as valuable and in need of conservation. This requires persistent community outreach to reconnect our peoples to the value of our ‘hotspot’ and the importance of becoming engaged in the conservation effort. One of the meaningful contributions is the establishment of gardens of indigenous instead of imported plants with emphasis on our medicinal and fruiting species. The study of our heritage of plant usage should be encouraged and included in curricula. Ethnobotany is becoming established as a field of study globally and I would be happy to work with educators in bringing a Caribbean focus to our study of plant biology. 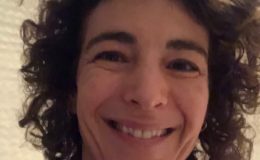 Thanks so much to Sonia for taking the time to answer these questions so meticulously. 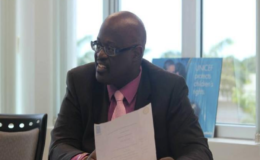 You can find out more about Dr. Peter’s work and interests, the Biocultural Education and Research Programme, and Heritage Teas Barbados, all on Facebook.